A SMALL STERLING SILVER BOUND HAGADDAH BY SHUKI FREIMAN. Jerusalem, c. 1990. 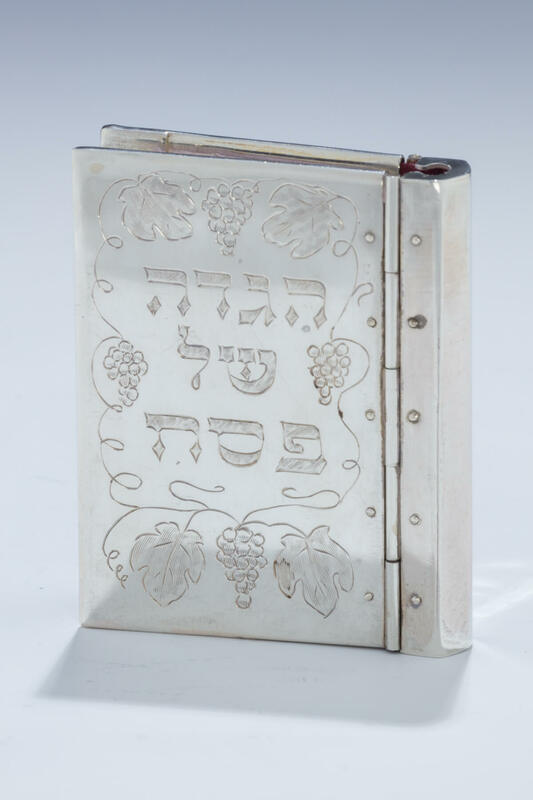 Hand engraved cover and back is decorated with Kotel. 2.6” tall.